You've probably noticed that used trucks aren't terribly cheap. After a decade or so, the value of your standard sedan drops precipitously but pickup trucks hold their value a lot longer. However, if you are operating on bad credit - and a lot of people are these days - there are plenty of good, used pickup trucks you can find at Mr. Ed. In this article, we take a quick look at used pickups from the big three American manufacturers, all of which you can buy today for $15,000 or less. In case you didn't know, the Ford F-150 is America's most popular pickup. Used truck buyers especially like the 2006-2010 models for their styling and impressive capabilities, including up to 11,000 lbs of towing capacity. Buyers also like its available V6 or V8 engines and attractive body style options. Journalists at the time especially liked the interiors of the 2006-2010 F-150s, which look a lot more modern than the cabins of most of the competition. If all that sounds good, you should have no trouble finding a 2006-2010 F-150 for around $15,000 or less. The Chevrolet Silverado has always been a great full-size truck. In the late 1990s, its styling was looking a little tired but thanks to a 2003 facelift, the 2006-2010 models are much better looking. The models offer something for everyone: a choice between an entry-level V6 and three different V8s, several transmissions and a 2WD or 4WD drivetrain. In 2002, the Dodge Ram debuted with a major update including an all new frame, suspension, powertrains, interiors, and sheet metal. In 2009 the 'Dodge' was dropped from the name, and RAM became it's own brand. Like the Silverado, RAM trucks are sold with a large variety of engine choices, transmissions, body style options transmissions and 2- or 4-wheel drive. 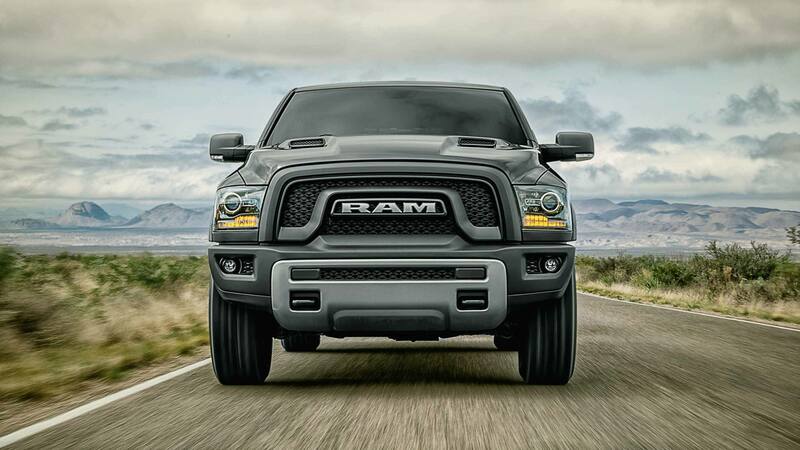 But the Ram offers something its other rivals can't match: distinctive, bold big-truck styling. The Ram also offers the enormously popular 5.7-liter HEMI V8, which gives it up to 8,550 lbs of towing capacity. Regardless of market highs and lows, pickup trucks have always had good sales and have been a popular segment on a consistent basis. Owners use their trucks for various reasons. Some just like the style and power. Some use their truck for hauling or towing during weekend excursions. And many use their truck on a daily basis for work-related needs. If you are in need of a truck, don't let bad credit stop you. The first step is to contact us here are Mr Ed. We will walk you through the steps of getting pre-approved for an auto loan. Once you determine what type of monthly budget you can afford, and what you are pre-approved for, you can browse our truck inventory right on our website. The last step is to come in and test drive the various vehicles that interest you. This is an exciting part of the process as you get a real feel for being the owner of a pickup. If you find something that fits all of your needs, budget, and style, the Mr Ed finance team is standing by to get your loan approved and have you on the way to ownership of a pickup truck!